It’s finally Friday – and NBC 6 has the top stories you need to know. Weather wise, drier conditions will be around for much of the day with highs in the upper 80s and lower 90s. Less than 24 hours after confirming there was red tide and shutting down some beaches, all the beaches north of Haulover Inlet are back open. Test levels showed a medium concentration of algae in the water at Haulover, while three other tests in the county came back low. In a 51-49 vote Friday morning, Senators began the motion of deciding whether the Maryland judge will be put on the highest court in the country – a nomination that was delayed due to a FBI investigation into sexual misconduct allegations by several women. Investigators say Patrick made on this Facebook page last month threatening Democrats and "weak Republicans" who might oppose Kavanaugh. Patrick also encouraged conservatives to break into liberals' homes and kill them in their sleep. 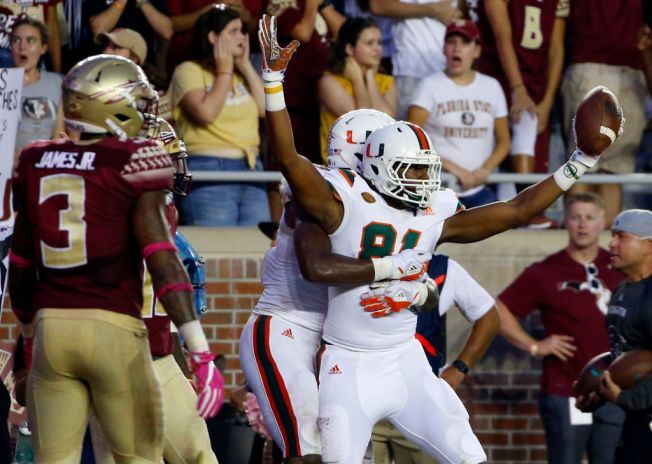 It’s been one of the best in college football for decades – now, the Canes and Noles meet Saturday inside Hard Rock Stadium as Miami looks for their first win at home since 2004 after breaking a seven game losing streak to FSU last season with a last second win in Tallahassee. Kickoff is set for 3:30 p.m.
La Cuidad de Progressa is making history this Sunday, raising the pride flag in a historic place. NBC 6’s Roxanne Vargas is serving as “La Madrina Del Festival” with Tu 94.9's Enrique Santos as “El Padrino.” Hialeah Pride is this Sunday from 1pm to 7pm at the historic Hialeah Park.